At Heating Homes our highly qualified team of engineers, covering all of Sussex, can assist with a wide range of plumbing and heating needs. We are fully Gas Safe Accredited and Worcester Bosch Accredited so you can be assured that all work is carried out to the highest standards. Our friendly, reliable engineers are rated 9.7 out of 10 on Checkatrade. Heating Homes service and repair boilers of all sizes and models as well as providing underfloor heating solutions, and installing smart thermostats. Whether you are a homeowner, landlord or business owner in Sussex, Heating Homes can help you find the perfect solutions to your heating and plumbing requirements. 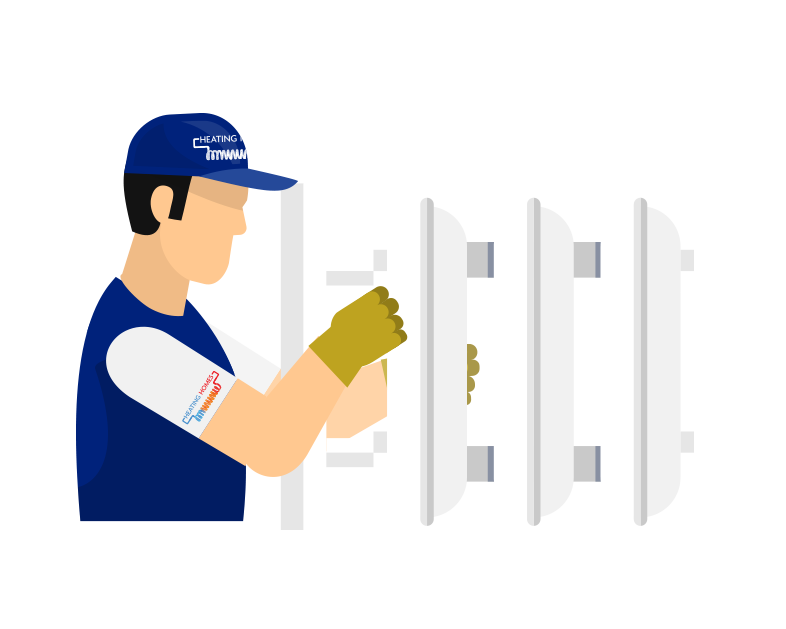 If you are having issues with your central heating we can identify the issue for you and provide expert advice and guidance on any kind of boiler repair. Our highly qualified Gas Safe engineers cover the whole of the Sussex area and will get you up and running in no time. We also recommend a yearly boiler service to keep everything running smoothly. Keeping your home warm and cosy is what we do at Heating Homes. We have over 20 years of experience in providing the ideal central heating solutions for all kinds of homes and businesses in Sussex. Our experienced team use only the highest quality materials and all our engineers are Gas Safe Accredited. Whether you are looking to install underfloor heating in a new building project or in an existing property our experienced engineers will be able to advise on the perfect solution. We use only the highest quality materials from specialist manufacturers. At Heating Homes we have over 20 years of experience in domestic plumbing and heating serving the whole of the Sussex area. We pride ourselves on our friendly team of highly qualified, reliable and punctual engineers and we score a fantastic 9.7/10 on Checkatrade. We are fully Gas Safe and Worcester Bosch Accredited. If you have commercial or retail premises in Sussex and require highly qualified and professional plumbing and heating services Heating Homes can help. We have 20 years of experience and can advise you of the ideal solution for your plumbing and heating needs. From the installation of toilet facilities to cost effective heating systems, our team can help. If you are looking to update your current heating system then having a smart thermostat installed is a great option. Not only can it save you hundreds of pounds in energy bills by only heating your home when you need it you can also control your heating from your mobile phone even when you are far away from home. We cover the ENTIRE Sussex area including: Crawley, Worthing, Eastbourne, Hastings, Horsham, Bexhill and Brighton and Hove. Give our friendly team a call today.